New signs designed by Merton school children asking people not to smoke in playgrounds have gone up on park railings around the borough. The council’s public health team worked with local children from the SHINE project, a Saturday school based at Bond Primary School, who designed the posters. 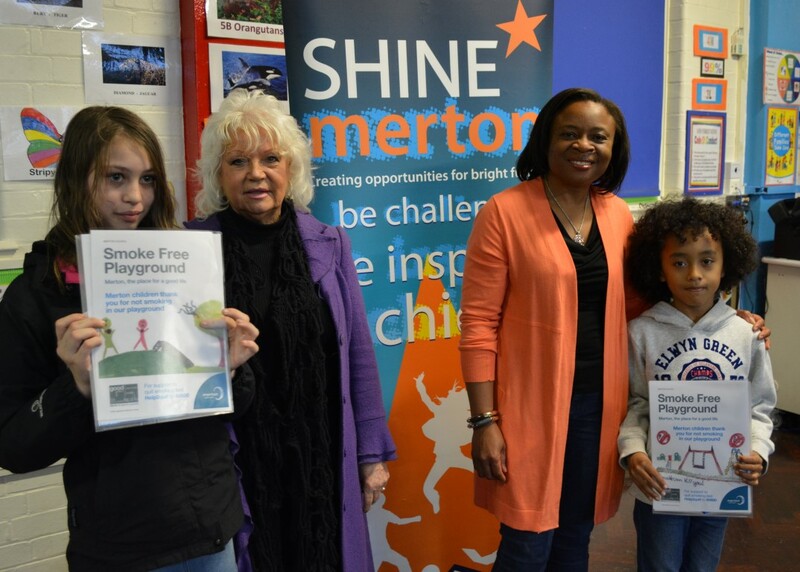 Over 60 entries were submitted with two winners chosen by Merton’s cabinet member for children’s services, Cllr Maxi Martin and cabinet member for adult social care and health, Cllr Caroline Cooper-Marbiah. The winning posters were designed by Sophie Ann-Morris (aged 11) and Theo Lee-Rhoden (aged 8). From 1 October it became illegal to smoke in cars with children inside them. Residents living or working in Merton who would like support to quit smoking, should text ‘Help2quit’ to 80800.